Nick’s needs are many. He has been deprived of the stable, loving relationship that every child requires from their parents. The people in his life that he is supposed to rely upon have failed and abandoned him. The cultural pressures are unbearable. His peers are every bit as confused and alone as he is. Nick needs a lot of things, and I think it’s an oversimplification to say that he needs God, or that he just needs a relationship with Jesus. While those things are true, it takes much more than conversion to live well. What Nick really needs is wisdom. Wisdom is not so much the art of living well, but the power to live well. Wisdom has been called the art of living well. There’s a lot to like about that description, but I’m not sure it tells the whole story. We often connote art with inspiration manifested in isolation, but it is impossible to live well when you are isolated from others. Indeed, isolation is the core of Nick’s troubles. 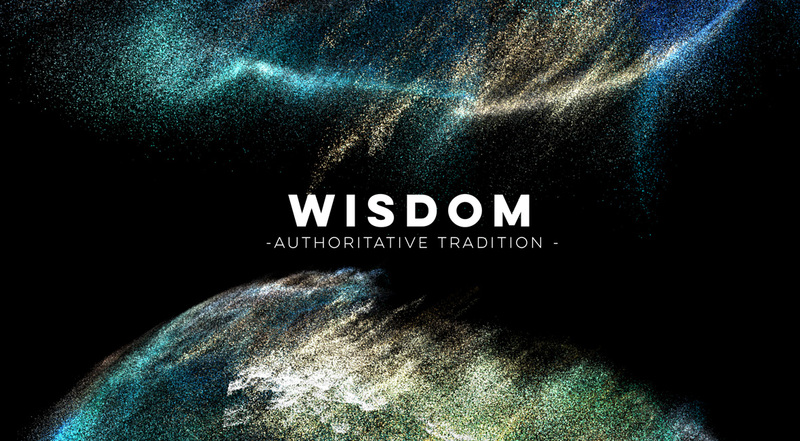 Perhaps a better, if less inspiring, definition of wisdom is authoritative tradition. Wisdom is not discovered within oneself, but rather received from the generations that have gone before us. Wisdom is not so much the art of living well, but the power (in both information and edification) to live well. When I say that wisdom is authoritative, I mean it in the sense I described in this recent post. Authority exists so that those under its care can grow and flourish; or as Del Noce put it, the essence of authority is to set in order. Wisdom is authoritative because it leads to the good life, to the order which God has established by his own divine wisdom. Wisdom also comes from a person in authority, most often a parent. In fact, the book of Proverbs opens with a long series of teachings from a father to a son, and closes with a chapter of a grown man reflecting on what his mother taught him. Wisdom is authoritative because it comes from an authority figure as life-giving guidance, knowledge, and insight. Similarly, wisdom is tradition because it is something that is handed down from one generation to the next. At its best, wisdom is the accumulated insight of a long-standing community, not merely the sayings of a singularly intelligent person. Each generation has the responsibility to humbly receive the tradition, reflect on it deeply within their own unique context, and then pass it on to the next generation. The core of the wisdom tradition doesn’t change, but every generation adds its own lived experience to it. What adolescents like Nick experience is isolation. They do not live within a tradition or a community. Instead, our culture encourages its youth to follow their hearts, find their own truths, think for themselves, and become whoever they want to be. But this gets the cart before the horse. Only when we are wise can we trust our hearts enough to follow them (or not, as the case may be). Only when we stand in a multi-generational truth tradition can we examine the truth through our own particular lens – not to formulate a new truth, but to understand it in our own cultural language. Yes, we ought to think for ourselves, but first we must learn how to think! We are now three or four generations into the rebellious and revolutionary experiment. We naturally reject the teaching of our parents’ generation, as did our parents before us. We laugh at older people, rather than respect them. We do not think that anyone over 30 could have anything relevant or important to teach us. And where has this gotten us? What good has this done for kids like Nick, who are facing record highs of anxiety and depression? Rebellion leads not to fulfillment, but to emptiness. The tragic irony is that it is only through embracing wisdom – the authoritative tradition that was begun with the prophets, fulfilled in Jesus Christ, continued by the apostles, and handed to us by the Church – that we can become our truest selves. There is much more that could, and should, be said here. I’m thinking particularly of what to do when our authorities fail us, as they so often do. (And lest we become proud, let us remember how often we fail when we take on the mantle of authority.) But the failure of our authorities are a reflection of their own brokenness, not of the brokenness of the wisdom of God that they were tasked to pass down to us. Therefore, let us not forsake the wisdom of God, but find in it the power to live well in this fallen world.